Since its creation over eighteen years ago, AmeriCan and Worldwide Travel, along with AmeriCan Ski, has grown steadily, building its reputation on the knowledge and experience of a small and very dedicated team. We pride ourselves on our creativity in designing tailor made Summer & Ski holidays to America and Canada, as well as many other Worldwide destinations to suit our clients individual requirements. Our Staff have all travelled extensively throughout North America & the rest of the World and have detailed knowledge of many different destinations. With an emphasis on providing a service that is both personal and flexible, we continue to strive to be a cut above the rest. In providing a unique consultation service by telephone, email or alternatively in the comfort of our welcoming offices, we offer our customers something different from the usual High Street booking experience. So whether you choose to call in for an informal chat about your travel plans, or alternatively telephone or email your requirements to us we can begin to design you an amazing holiday at an affordable price, saving you time and money. Our bright and friendly offices located in the heart of Tunbridge Wells in Kent, are only a few minutes from the mainline railway station. We offer a convenient appointment service and limited free parking for clients calling in to our office. With many years of experience in the business, working for small independent operators, Jenny is our resident ski specialist as well as being an integral part of the AmeriCan & Worldwide Travel family. MOST RECENT NORTH AMERICAN DESTINATION: Arizona & Utah. FAVOURITE CANADIAN DESTINATION: Montreal & Big White Ski Resort. FAVOURITE WORLDWIDE DESTINATION: Botswana & India. HOLIDAY HIGHLIGHTS: Unexpectedly stumbling upon a rodeo in Georgia, sand-boarding in Utah, taking a helicopter flight around the Crazy Horse Monument in South Dakota and attending an impromptu outdoor concert in Central Park. With over 16 years experience in Leisure and Corporate travel, Sara started off specialising in Round the World and Gap Year trips. Having travelled extensively, she now enjoys passing on her travel knowledge and researching the perfect trips for her clients. MOST RECENT NORTH AMERICAN DESTINATION: The Florida Keys. FAVOURITE AMERICAN DESTINATION: Monument Valley. FAVOURITE WORLDWIDE DESTINATION: New Zealand and Central America. HOLIDAY HIGHLIGHTS: Staying overnight in a traditional Navajo Hogan in Monument Valley. Visiting the Sloths at the Sloth Hospital, Costa Rica. Seeing Orangutans, Proboscis Monkeys and watching a huge turtle lay eggs at night when in Borneo. NEXT STOP: California Wine Country. With over twenty years’ experience in the business, working for both small independent agents and large long haul tour operators, Sam has now been with the company for over thirteen years. MOST RECENT NORTH AMERICAN DESTINATION: California. FAVOURITE AMERICAN DESTINATION: Yellowstone & Yosemite National Parks. FAVOURITE CANADIAN DESTINATION: Jasper National Park. FAVOURITE WORLDWIDE DESTINATION: Australia & the Great Barrier Reef. HOLIDAY HIGHLIGHTS: Cycling over the Golden Gate Bridge, hiking up the side of a waterfall in Yosemite and going wolf watching from the dramatic mammoth hot springs in Yellowstone and spotting a brown grizzly bear up a tree. NEXT STOP: New York & Boston. Holly has worked in both Leisure and Business travel for many years and jumps at every opportunity to travel as much as possible and broaden her knowledge. MOST RECENT NORTH AMERICAN DESTINATION: New York City & South Carolina. FAVOURITE AMERICAN DESTINATION: New York City. FAVOURITE CANADIAN DESTINATION: Toronto & Niagara Falls. FAVOURITE WORLDWIDE DESTINATION: Sri Lanka. HOLIDAY HIGHLIGHTS: Stumbling upon an underground Jazz Club in New York. Taking a helicopter ride over active volcanoes in Hawaii, watching a different Cirque Su Soleil show every night in Vegas. Enjoying a traditional Thanksgiving in South Carolina. NEXT STOP: Hawaii and the Deep South. Matt has worked in the Travel industry for over ten years, with experience both in the Leisure and Business sectors. Having lived and worked in Western Canada for almost 3 years, Matt is a qualified Canada specialist and also a Ski and Snowboard expert. MOST RECENT NORTH AMERICAN DESTINATION: Miami & The Florida Keys. FAVOURITE AMERICAN DESTINATION: The California Coast. 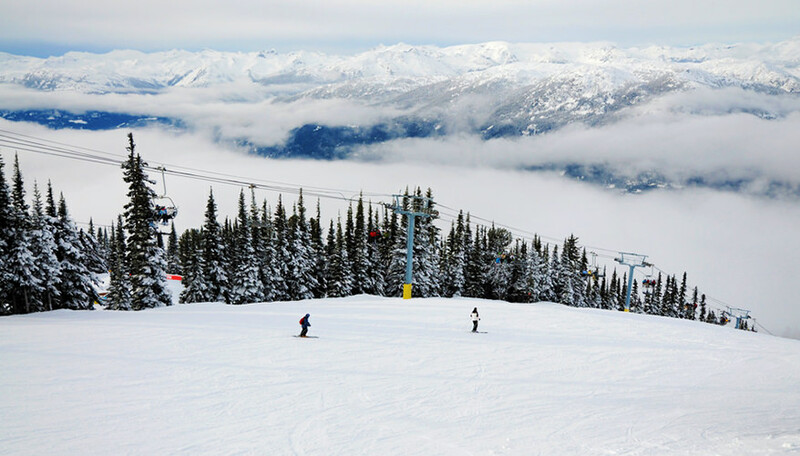 FAVOURITE CANADIAN DESTINATION: Whistler BC and Prince Edward Island. HOLIDAY HIGHLIGHTS: Heli Skiing in the Coast Mountains from Whistler, kayaking through the coastal inlets from Tofino on Vancouver Island and taking the Grand Canyon railway trip from Williams, Arizona followed by a 4th July celebration at the local campsite including a fantastic BBQ and live music.